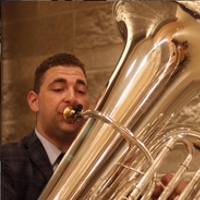 I have played on a Laskey 30H American shank for the past 5 years, but recently bought a tuba with a Euro leadpipe and I need a 30h in Euro size. I have a gold plated 30H (American size) I'd be willing to trade it for a Laskey 30H Euro or be willing to pay 125 for a silver plated one, 175 for a gold plated one. I know this is a shot in the dark since Laskey passed. I have played on other Schilke Helleberg 2 clones and they just aren't the same as a 30H so not interested in any other mouthpieces. Please call Paul 90eight-85zero-163six or email proscientific AT verizon DOT net.